The Mur Castle (cat. 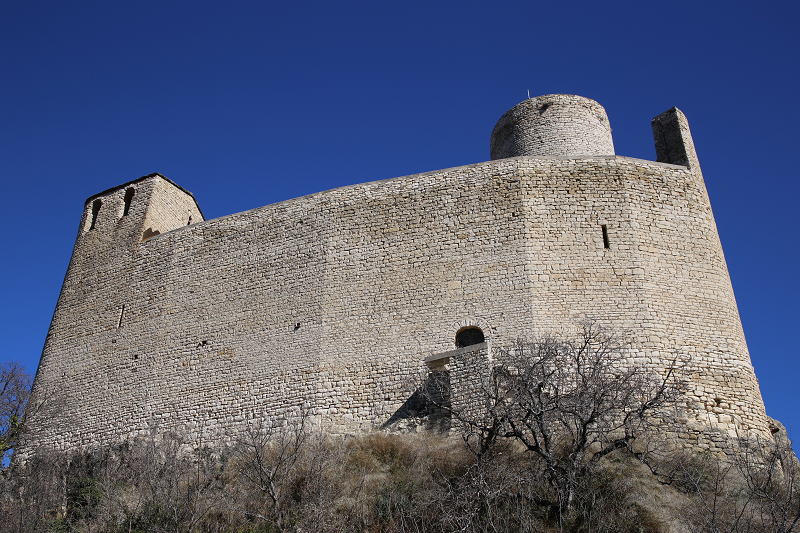 Castell de Mur) is an important example of civil architecture from the 11th century. 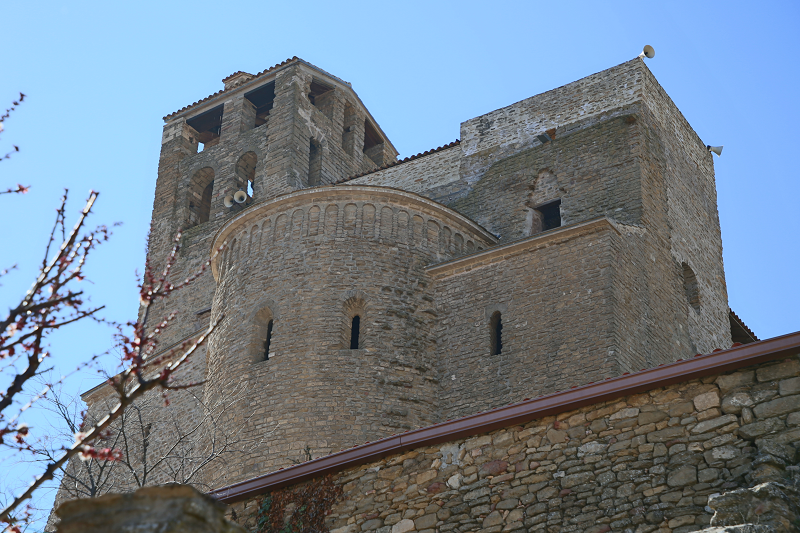 Located in the municipality of Castell de Mur, in Pallars Jussà. 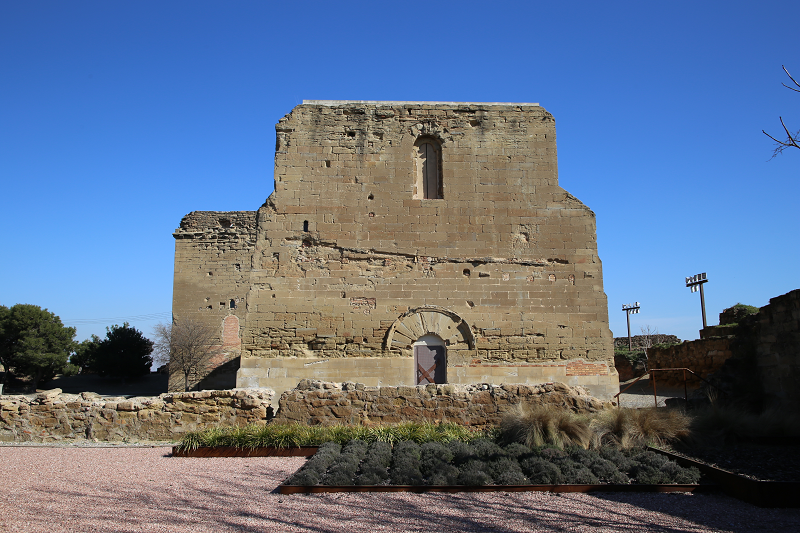 On its outskirts there was the castel town of Mur, abandoned long time ago, it belonged to the church of Santa Maria de Mur. 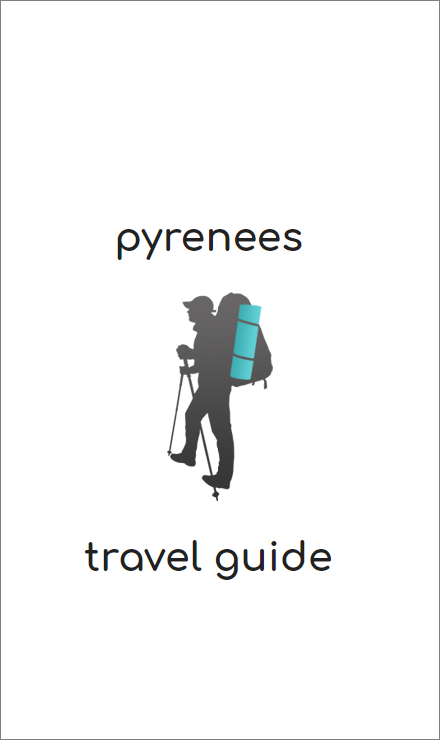 It was a remarkable medieval town, of which now we can see remains of a cyclopean wall and numerous remains of carved stone floors, discovered in archaeological surveys, mainly in 1977. 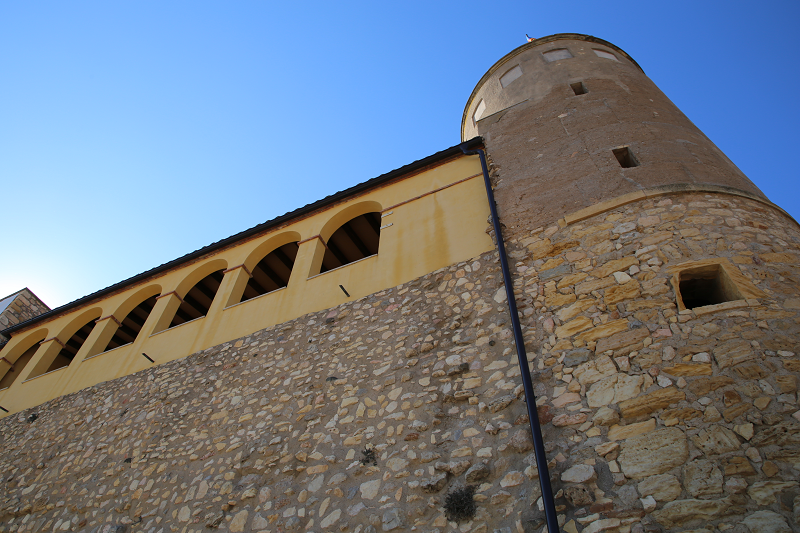 Thanks to its architecture and good state of conservation, the Castle of Mur has Become the emblem of the Border Castles of the Catalan counties. 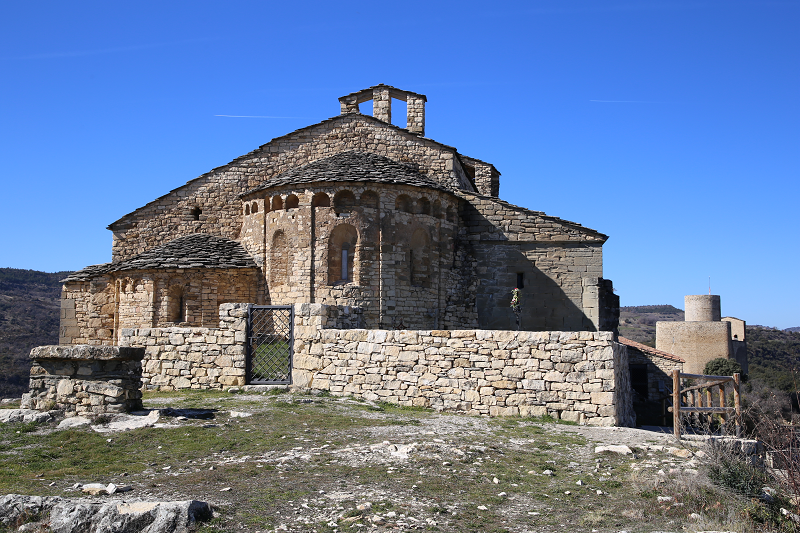 It is the best preserved example of a Romanesque fortress from the 11th century in Catalonia. 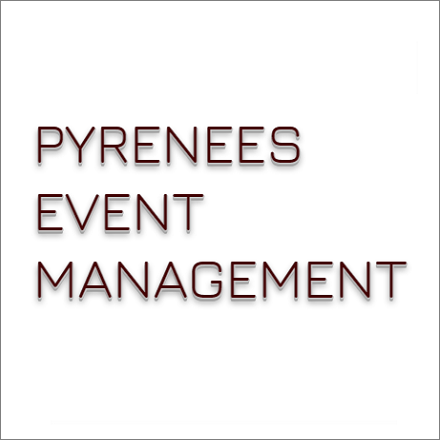 It is declared a Cultural Asset of National Interest. 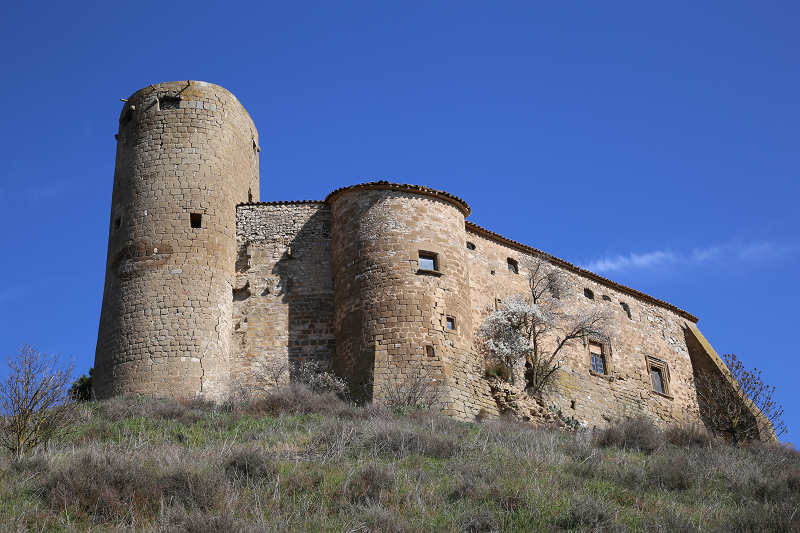 The castle of Mur is located next to the old monastery of Santa Maria, on top of a hill over the Noguera Pallaresa, at the entrance to the Tremp basin. The construction has a triangular floor plan with rounded angles and it is slightly curved on the south-west side. Exceptionally the perimeter walls are preserved as a whole. 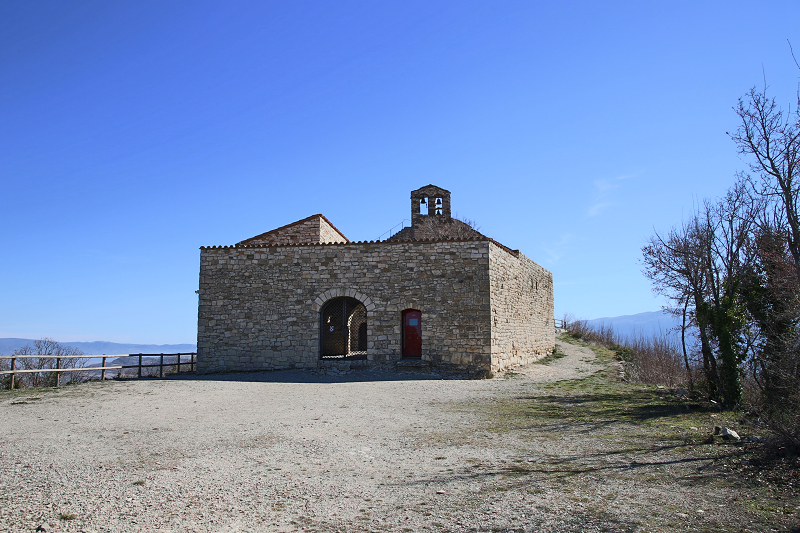 The construction is made of small and regular stones, characteristic of the early Romanesque style, although some elements, such as the tower basement, have been made using previous constructions. The main tower is conserved inside the enclosure, it is circular and of about 16 m high, divided into four floors and with embrasure windows. 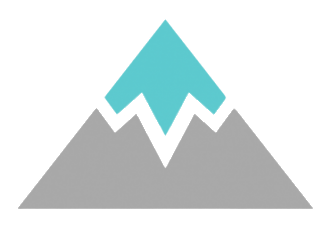 At the opposite end, at the smallest angle of the triangle, rises a half tower formed by a transverse wall, which supports its sides through a large diaphragm arch. Along the walls there are few loophole openings, as well as some blind openings with round arch, which purpose is unknown. On the south-west wall there is the entrance door located about halfway up the wall. The inner wall side shows some indications that the building might have been sectioned by wooden beams. 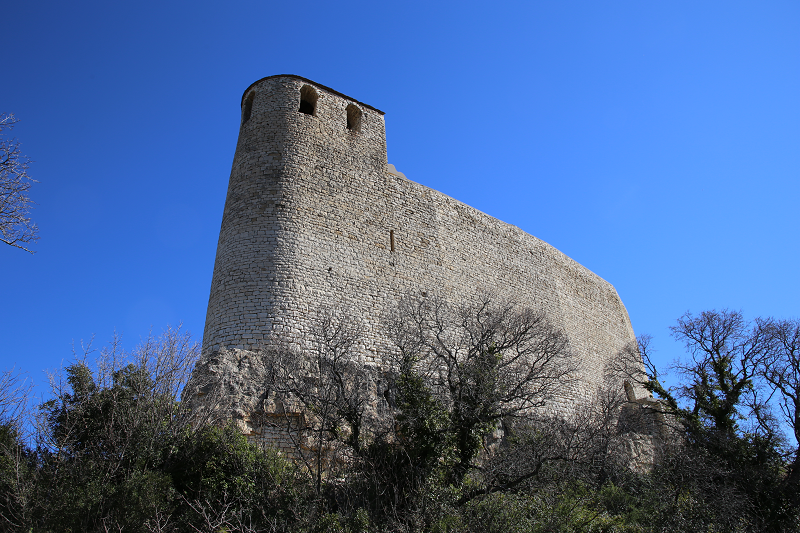 The architectural structure of the castle is very simple, consisting of a walled perimeter, on a nave-shaped plan, and a single access door to the south. The enclosure is 31 m long, and the 1 m thick wall, has a height that goes from 14 to 18 m. It is shaped like a slightly irregular triangle with rounded angles, due to the rock on which it is located. 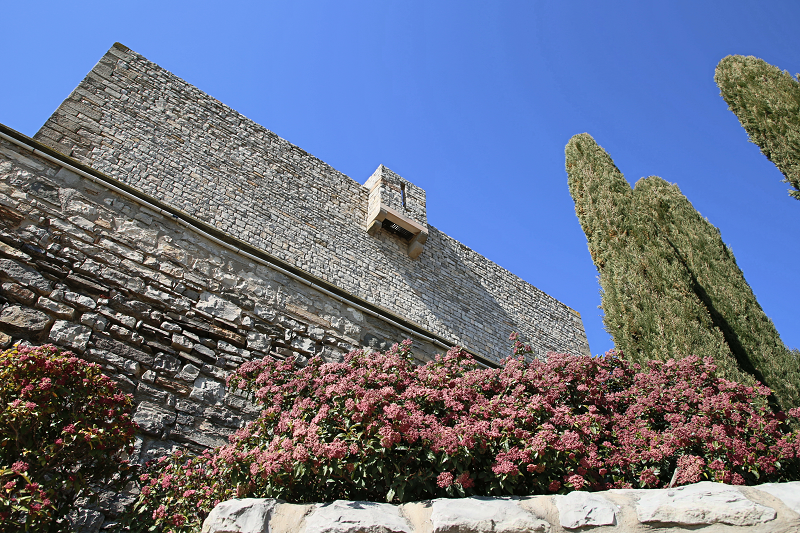 The narrowest end of the castle is culminated by a triangular chambe, which forms a half tower, when seen from the outside. This part of the castle was restored in 1986. At the other end, which is the widest, is the tower of the tribute. 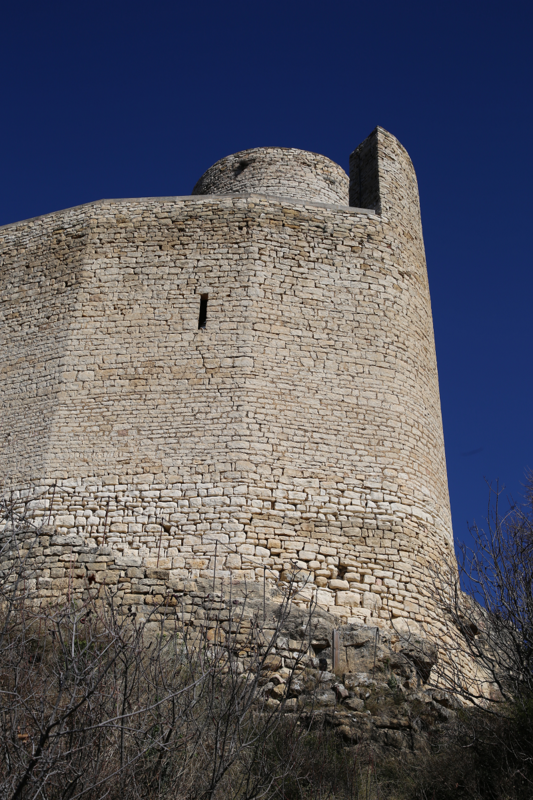 It is a magnificent round tower, free standing and located in the east sector of the castle. 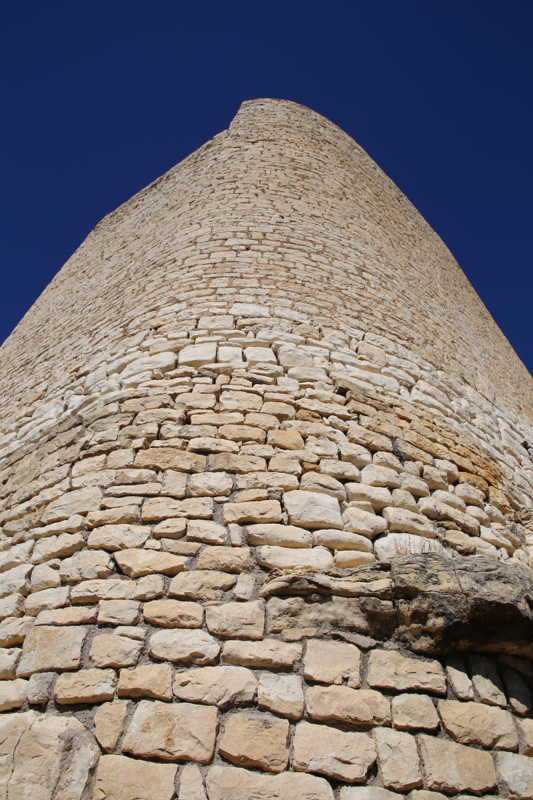 The base structure of this tower is datable to the 10th century, the upper structure is of small, regular stones, and is datable to the 11th century. The castle has a single entrance door, open to the west, however it has some single opening window embrasures, located high on the wall and on the upper floors of the north-end room and the round tower. Some of these openings are also latrines. In the excavations and reconstruction of 1986, the interior layout of the castle was discovered, it did not present any other particular constructions, however it discovered remains of smaller walls, which separated different castle rooms. Documented since 969 in a lost document, which was quoted by Father Villanueva in his book Viaje literario a las Iglesias de España (es. Literary Trip to the Churches of Spain), was one of the castles that belonged to Arnau Mir de Tost. This noble man from Urgell was the one who took the initiative in organizing the new border territory. 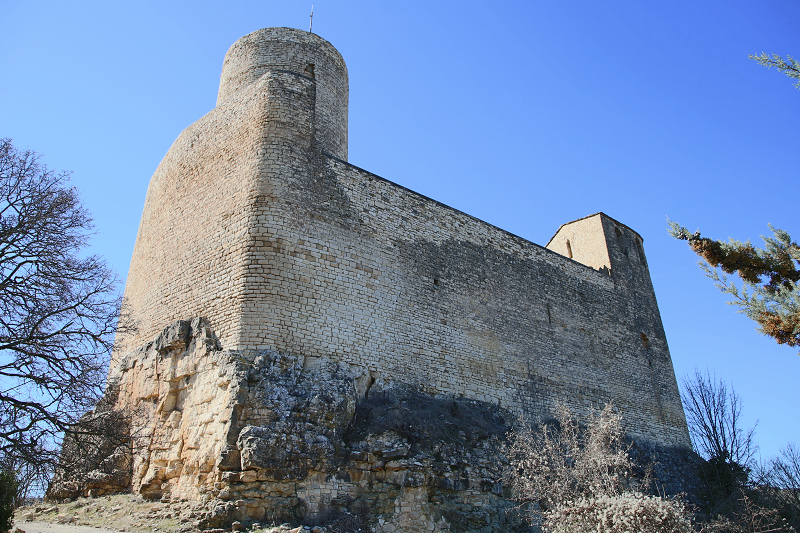 In 1055 Ramon V de Pallars Jussà married Valença de Tost, the daughter of the count Arnau Mir de Tost, and as a dowry he transferred in fief the castle to the count. Upon the death of Arnau Mir de Tost, the possession of the castle and territory returned to the Pallarés Count by virtue of his will, as the following count of Pallars Jussà was his grandson. 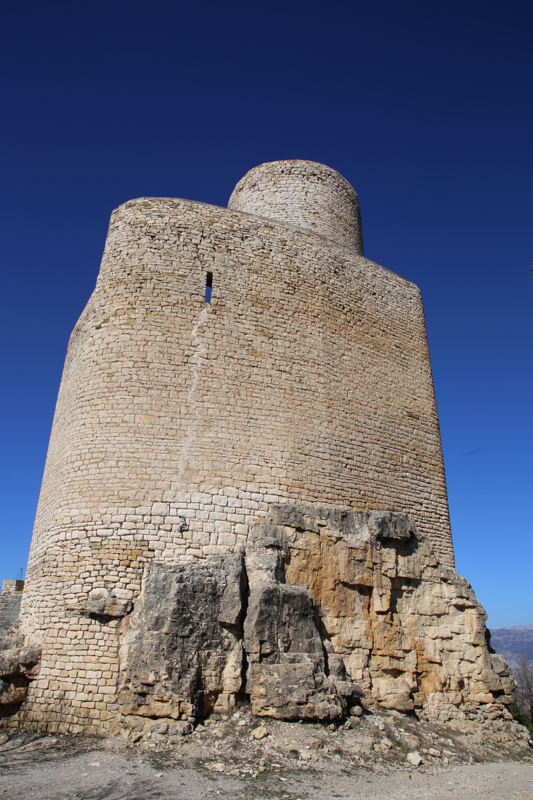 In the successive years, its owners continued to prosper so well that soon they added more fortifications including the castles of Guàrdia, Estorm, Moror, Alzina and Puigcercós. When Arnau Mir died, he handed over his possessions to his daughter Valença and to his grandson Arnau. From then on, the following generations continued the growth and prosperity of their inherited heritage. 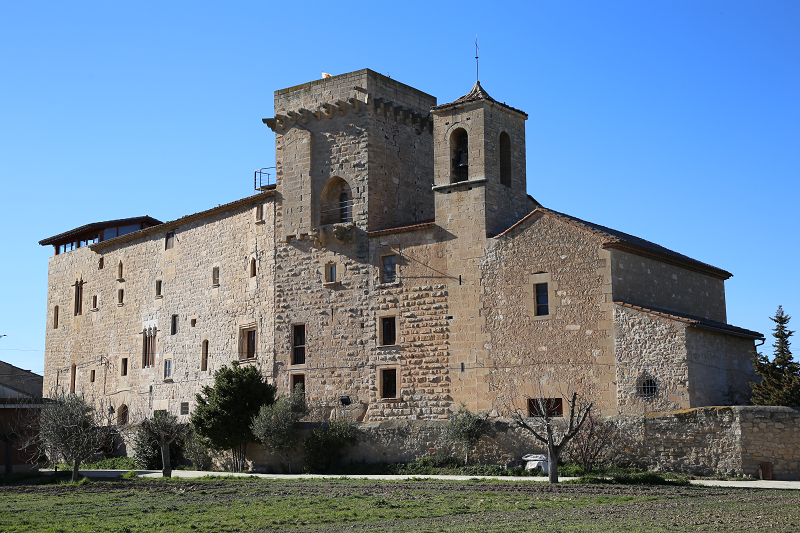 The castle continued in the hands of the Counts of Pallars, until later, when in its most splendid time, it belonged to the Mur family, who made it the center of their barony. 1- Constructing of foundations of the tower in the 10th to the first half of the 11th century. 3- Last reform that continues into the 15th century, before being abandoned forever in the 16th century. In 2011, as the Torre del Homenaje was to be converted into a museum, the restoration of the tower was carried out.